The Miller and Clark families announce with profound regrets the sudden death of the son, son-in-law and husband, the late Rev. Tarkolo A. Miller. This sad event occurred on Wednesday, February 13, 2019 at 2:54 A.M. at JFK Hospital. The late Rev. Miller was former pastor of Eliza Turner E.M.E Church, CEO AFA Network, Inc., Director of Technology, Tubman University, and co-proprietor of the Yuakpe Foundation in Harper, Maryland County, respectively, up to his death. This announcement should claim the attention of all concerned, especially family members from Konoquelleh Clan, Margibi County. The late Rev. Tarkolo A. Miller was the son of the late Moses Miller and the late Polan Bendu Kollie. His remains have been deposited at the Samuel A. Stryker Funeral Parlour pending arrangements. The body of the late Rev. 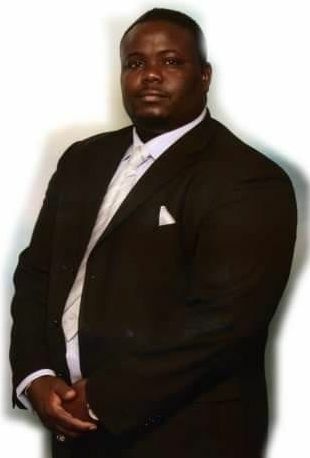 Tarkolo A. Miller will be removed from the Samuel A. Stryker Funeral Parlour on Thursday, March 14 at 5:00 P.M. and taken to the Eliza Turner E.M.E Church on Camp Johnson Road for wake keeping from 6:00 P.M. until 12:00 P.M.
Funeral rites will be held at the same church on Friday, March 15, 2019 at 10:30 A.M. Absolutely, there will be no floral designs during the funeral service. The family admonishes friends, well-wishers and sympathizers who wish to identify with them to do so by making contributions to the Rev. Tarkolo A. Miller Educational Foundation. Meanwhile, the last family meeting is schedulted for Sunday, March 18, 2019 at 3:30 P.M. at Tubman University Guest House on 11th Street, Beach Side, opposite the Peace Corp Office.